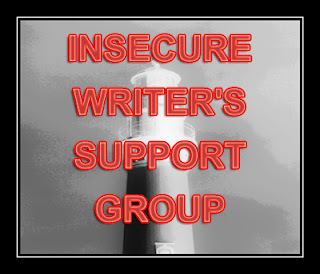 The idea of the Insecure Writers Support Group is for writers to blog on the first Wednesday of the month about their fears, struggles and triumphs they have experienced with their writing. Last month I wrote a bit of a whiny what if it never happens blah blah blah post so this month I thought I would be a little more positive. Last month I finished the first draft of Book 2, which is quite an achievement for me as I have canned a lot of stories way before this stage either because I simply didn't have it in me yet to finish a whole novel or because I let self-doubt win and I abandoned projects. So not only have I finished one book and started submitting it (another achievement because putting it 'out there' is bloody scary), I'm on my way to finishing another book. And not only that, I've started planning Book 3 while having some time away from my completed first draft and feeling pretty good about it, even if it is only in the very early stages. *high fives* - woo for positivity! Congrats! That's fantastic. Keep it up. YEAH!!! I love hearing great news like that! It's inspiring for all of us! Thanks for all your comments. It was nice to focus on the positive for a change!